In this inspiring, all-American story, readers meet a stray dog turned national icon and World War I hero thanks to his unexpected friendship with a soldier bound for France. It all started one summer's day in 1917, just months after the United States had pledged to join the Great War, when a seemingly average, stump-tailed terrier wandered onto an Army training field at the campus of Yale University and adopted Pvt. James Robert Conroy as his best friend. The bond the pair formed in Connecticut carried them across an ocean, into the trenches of France, and onto the path of history. In short order this brindle-patterned recruit had worked his way up the ranks from stray to stowaway to star. After starting out as mascot for Conroy's 102nd Infantry Regiment, he advanced to become a working military service dog—alerting soldiers to impending gas attacks and helping medics locate friendly survivors on the battlefield—and a source of inspiration and pride for their 26th ''Yankee'' Division. Along the way Stubby won friends on the battlefield and beyond, earned commendations on two continents, and stole the heart of a nation. This definitive biography of Stubby and his best friend benefits from exhaustive research that restores fractured story threads, unearths unpublished photographs, and reconnects Stubby, now on display at the Smithsonian, with Conroy's almost forgotten descendants. Stirring, humorous, heartwarming and unbelievably true—Stubby's story is back! One of the best parts about researching a book is that I don't know what I'm going to find. Each project is like a mystery, and I have the fun of solving it. Or, sometimes, each project feels like a jigsaw puzzle, except without a known picture. Slowly I uncover the facts, and the full picture comes into view. Every research journey has its surprises—I learn new facts every day—but with Stubby I enjoyed a wealth of wonderful discoveries, and each one made the solving of that jigsaw puzzle that much more fun. 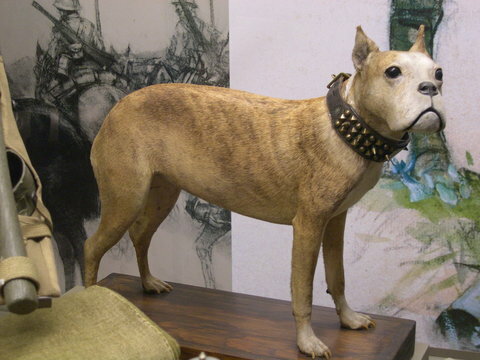 Stubby can be seen today at the ''Price of Freedom'' exhibit in the Smithsonian's National Museum of American History. My favorite surprise by far was the discovery of J. Robert Conroy's descendants. When I began researching Stubby's history at the Smithsonian, where he resides, I asked museum curators what they could tell me about Conroy, the soldier who became Stubby's best friend during World War I and beyond. The answer, basically, was nothing. The museum had lost track of Conroy after he'd donated Stubby and his belongings to the museum in 1956, and they'd barely learned anything about him even then. Other people had tried to trace him, I was told, but with no luck. Research is not a particularly linear process. True, I may read a reference book from front to back, but the research threads I pick up in one source tend to fan out like rays to countless others. By the time I'm done, I haven't so much connected the dots; I've more nearly created a web of facts. The stronger that web—the more connections and overlap that I uncover—the better I understand the history. Those web-like rays inevitably lead me to unexpected places. One day a package of clippings arrived in my mailbox, as promised, from a librarian in New Britain, Connecticut. I'd tracked down the librarian by contacting the New Britain Public Library, and I'd contacted the library because New Britain was the city where J. Robert Conroy had grown up. I wasn't the first person to inquire at the library about Stubby, and Patricia Watson kindly sent me her usual packet of clippings. One of those articles had been published in the 1990s and featured a quote from a man named Curtis Deane, who was cited as being the grandson of J. Robert Conroy. 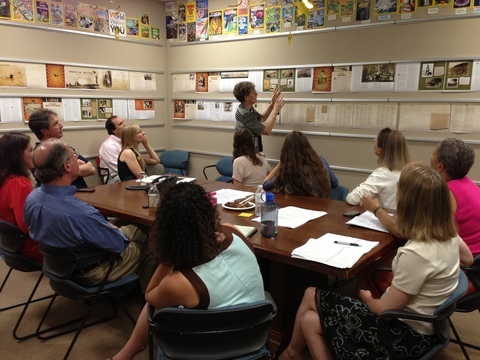 Descendants of J. Robert Conroy joined me (standing) and publishing staff members at the National Geographic headquarters for a review of the design for Stubby the War Dog. This was news. Up until that time, I'd found no references whatsoever to Conroy having any descendants. Now I'd found one, or at least found out about one. Fortunately, Curtis Deane hadn't moved since he'd been quoted in that story almost two decades ago (a minor miracle, really, given how mobile people are these days). Before too long, I had been able to track down a phone number for him, and it actually worked. ''Can I call you back?'' he asked, after confirming that, yes, he really was the grandson of J. Robert Conroy. He was digging out from three feet of snow, he explained, and he had been without power until that hour. ''Sure,'' I said, having learned that patience is an important part of the research and writing process. True to his word, Curt Deane called me back the next day. We talked for 45 minutes and agreed to speak again soon. A number of conversations followed, and before long we'd made plans to meet in person. One thing led to another; the threads for that web stretched farther and grew thicker. Eventually Curt Deane introduced me to other family members, and I met more descendants of the soldier whose history I had set out to find. As we became better acquainted and I heard stories about the man these people had known as Grandfather Bob, Stubby's best friend became as real to me as the dog that he had helped make famous. Their story became richer, and so did my ability to share it with readers. Best of all, I had made new friends—one more surprise, one more bonus, during the adventure of researching a book. 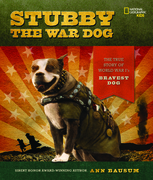 A stray dog named Stubby stole the heart of a nation during his lifetime and is charming new generations through the twin titles Stubby the War Dog and Sergeant Stubby. Readers of all ages fall in love with this four-footed participant in World War I. Using numerous unpublished images, this presentation pays homage to Stubby's enduring friendship with fellow doughboy soldier Robert Conroy and documents how Conroy helped his best friend become one of the most celebrated war dogs of all time. Woven into the program is the equally compelling story of how fortuitous twists of fate—rivaling those of Stubby himself—led the author to the descendants of Robert Conroy and helped rekindle Stubby's fame. "Fantastic presentation. Well-organized and thought out. Delivery lively, informative, accessible for all ages. The kind of scholarship is astounding." "Your program was wonderful!...What a great story that all ages can relate to and learn. I like that you framed the story of Stubby with information about World War I and what warfare was like at that time. Whether someone enjoys history or a great dog's story, this was a fine presentation." "Stubby was terrific! A program that parents and children could share. We had a wide range of ages and all were engaged and interested!" " Is the appeal of this book greater for dog lovers or military-history buffs? It's a toss-up, because the book's charm simply radiates off the page in all directions....This very engaging book serves as a tribute to canine courage and devotion." "Author Ann Bausum brings to life the story of Stubby the stowaway, the dog who joined the 102nd Infantry of the 26th Division and became a decorated war hero." 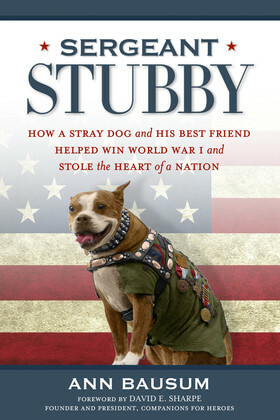 "If you like history and dogs then this is a book you will thoroughly enjoy by award winning author Ann Bausum....Stubby...could easily be the Father of all therapy dogs....Bausum captures the humanity of war and the bond that can be forged between dog and soldier, even in the most horrific conditions....I highly recommend this book....You will not be disappointed." "...Actually, there are two books—one biographical and historical, and the other ostensibly for kids, but of more general interest for its historic illustrations about the dog and the war. If you (and your children) like history and are fans of hero dogs, both books are recommended." "...History buffs and dog lovers alike will enjoy Ann Bausum's Sergeant Stubby, released just in time for the 100th anniversary of the start of World War I." "Stubby: The Hero Dog of World War One"
"The Great War and the Shaping of the 20th Century"
Lemish, Michael G. War Dogs: A History of Loyalty and Heroism. Dulles, Virginia: Potomac Books, 2008. Lengel, Edward G. To Conquer Hell: The Meuse-Argonne, 1918. New York: Henry Holt and Company, 2008. Orlean, Susan. Rin Tin Tin: The Life and the Legend. New York: Simon & Schuster, 2011. Shay, Michael E. Revered Commander, Maligned General: The Life of Clarence Ransom Edwards, 1859-1931. Columbia: University of Missouri Press, 2011. Shay, Michael E. The Yankee Division in the First World War: In the Highest Tradition. College Station: Texas A&M University Press, 2008. Copyright © 2004–2017 Ann Bausum. All Rights Reserved. Built and maintained by LHA.